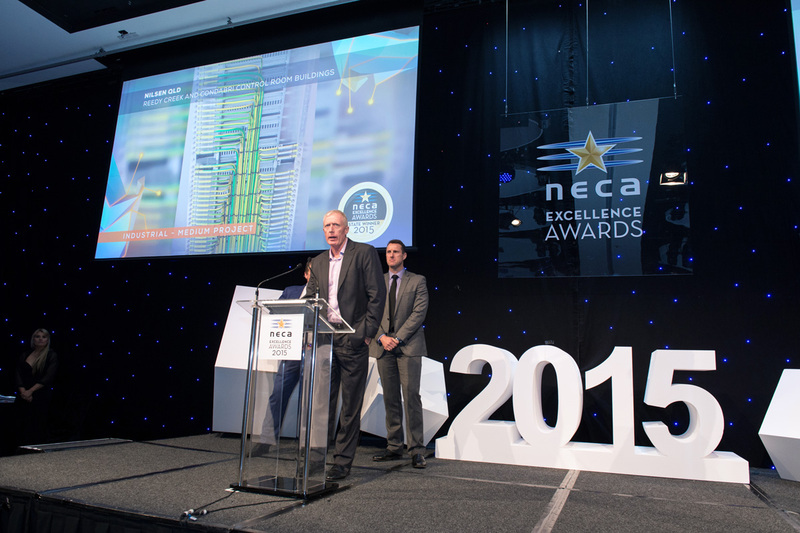 Nilsen (QLD) has won the Best Industrial Medium Sized Project for the Reedy Creek and Condabri Control Room Buildings project. 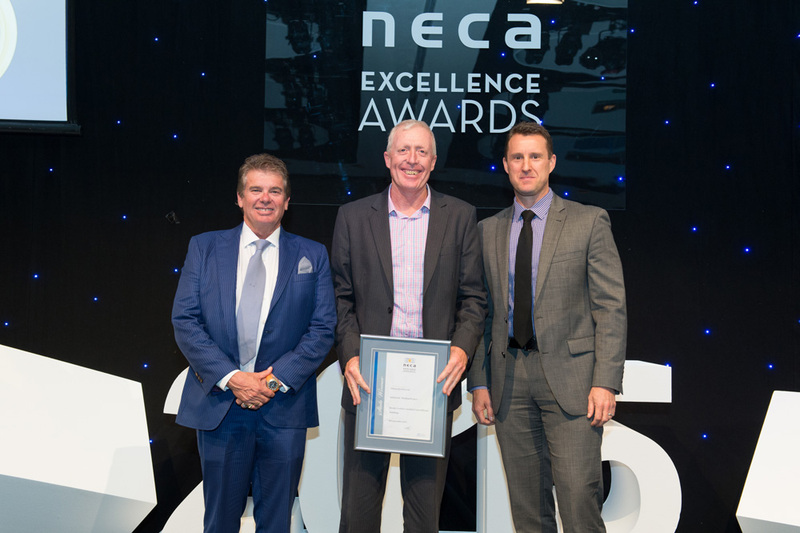 Last Friday September 4th Nilsen won the 2015 NECA Queensland Excellence Award for Best Industrial Medium Project ($1-8 million). 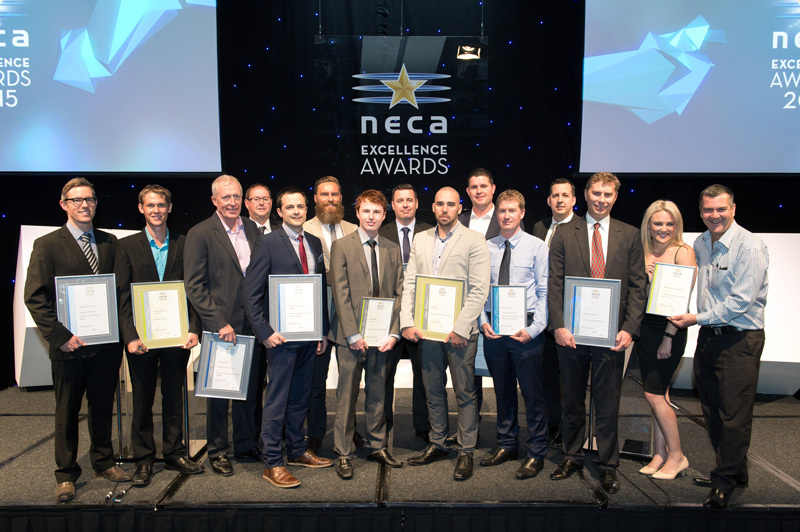 This category was for Queensland industrial projects which included undertakings of a civil, mining, high voltage, manufacturing or process nature where the contract value was greater than $1 million and less than 8 million. The Reedy Creek and Condabri Control Room Buildings were completed for Leightons and installed at Australia Pacific LNG’s Water Treatment Facilities at Condabri Central and Reedy Creek in the Surat Basin region, about four hours west of Brisbane. The buildings are the command centre for these facilities where water produced by APLNG’s coal seam gas wells is treated with the goal of generating water that can be used for irrigation and injection into underground aquifers. Due to the remote nature of the site, forward procurement plans and proactive issue resolution was paramount for the Nilsen QLD team who delivered the project successfully and without delay in November 2014. We would like to extend congratulations to all State winners representing Nilsen at the National Awards and wish them the best of luck!